Do you think someone else’s employee is fully / partially at fault for a workplace accident? 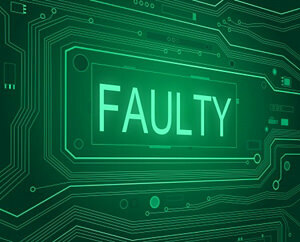 Do you suspect that another company’s faulty product is fully / partially at fault for a workplace accident? Did you purchase a tool, a vehicle or other piece of equipment that malfunctioned in your home or on your property and cause an injury? Did you suffer an injury in someone else’s home or on someone else’s property? Subrogation arises when a third party (i.e. a party other than the injured worker claimant and/or the employer) is responsible for the claimant’s injuries. The third party may be a driver of a car, a manufacturer of a chair, a building maintenance company, etc. When a third party is responsible, subrogation seeks to recover from the third party, or his/her insurance carrier, benefits paid to and on behalf of the injured claimant. These benefits include medical benefits, temporary disability benefits, and permanent disability benefits. Gateway Investigations is an experienced and qualified company in providing you with a full scale Subrogation investigation and we can provide you with samples of previous investigations during your free consultation. Recovery, or subrogation, is the process by which insurers or self-insured companies seek reimbursement of their claim losses from responsible third parties. Properly executed, subrogation investigations can help a payer recoup substantial amounts. Unfortunately, payers often fail to pursue recovery, either because they are unaware of the opportunities it affords or because they have concluded that the activity is too burdensome or costly for staff to pursue aggressively. Others may have programs in place that are ineffective. There can be a lot of money left on the table by not doing a proper subrogation investigation or by using a company not well versed in this type of investigation. If a third party is identified as a responsible or partially responsible party, Gateway Investigations will properly collect evidence, conduct on-site surveys and interviews, provide comprehensive technical reports and advise of other insurance carriers that may be fully/partially liable for damages, and of course we are experienced and prepared to be available to testify to our findings. Please contact us at 314-238-1367 or email us at info@gatewaypi.net to speak with an investigator about your situation.